It’s not just Sarah and Matt that I know in Australia right now, there are plenty of people scattered around the place that I’ve met on my previous travels, through friends and family, and even from home. My pal Charlie has been here since January and is currently living the dream down on the Great Ocean Road. Having failed to meet up in the city previously, we arranged to spend a weekend together out by the ocean. 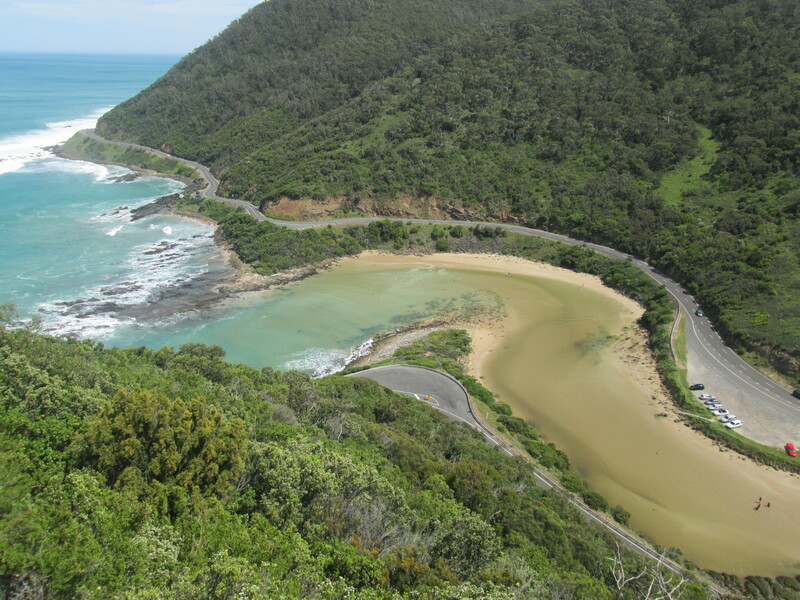 You hear plenty about how great the Great Ocean Road is everywhere, to the point where I’d actually thought it was probably just ok. Once I’d got the train out to Geelong and the bus out to Anglesea I was proved very, very wrong. It is absolutely fantastic and I’ve only seen the tiniest stretch of it so far. 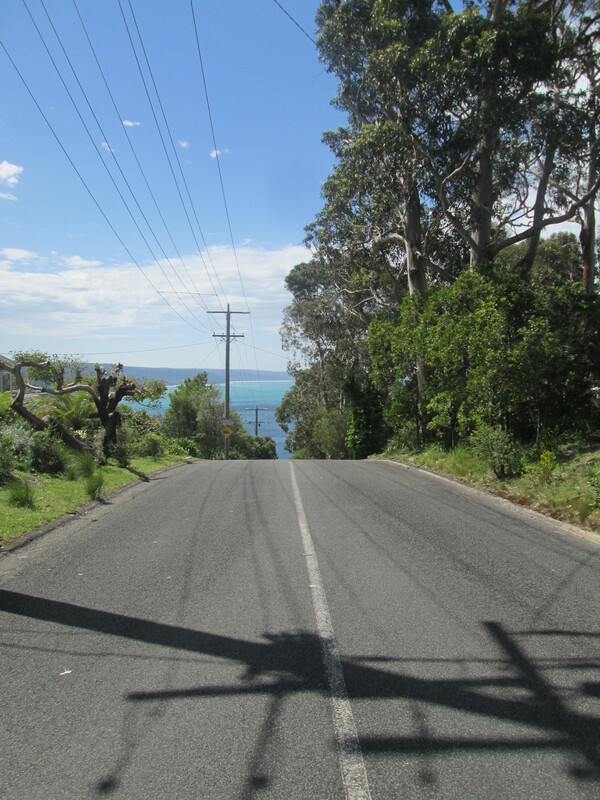 Arriving in to Lorne was pretty breath-taking. Having spent my time only in the city so far, it was amazing to suddenly be out in the countryside, no skyscrapers in sight and the sea just meters away. There had been talk all week at work about how great the weather was supposed to be this weekend, it certainly did not disappoint. After giving up on a swim and the sea, we walked along the beach for ages. It just goes on and on and on and on and you get the point. The sand is beautifully white, the sea a glorious aquamarine. Rivers flow out across the sand, palms line the dunes and the houses up in the hills are incredible. I love the fact that people can just buy a plot of land and build their dream holiday home down here. I spent most of the day with one of those stupid “I’m on an indefinite holiday hahahaha” smiles. We had a quiet night out in a couple of Lorne’s bars before a long and much needed sleep. The next morning we eventually made it out and took a walk out to one of the local view points, Teddy’s Lookout, where my mind was blown again. 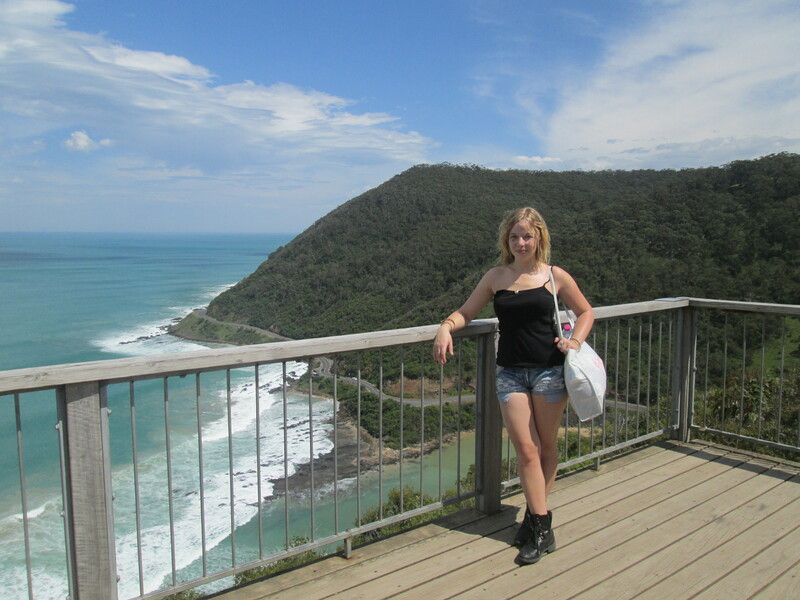 The scenery is spectacular; rolling green gum tree covered hills that slope down to the rocky shores where the waves break. We took a walk down through the trees to the St George River. There was the distinct smell of Australia in the air, which I now believe must be something to do with the trees and the humidity. Charlie suggested we might see both koalas and snakes but were only treated to a brief glimpse of a skink. 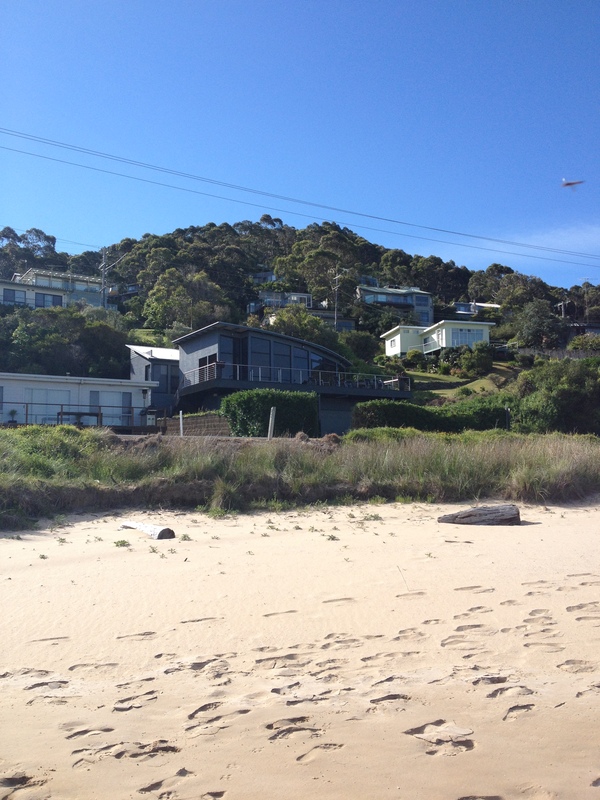 The whole time I was in Lorne I got overly excited by the bird live. 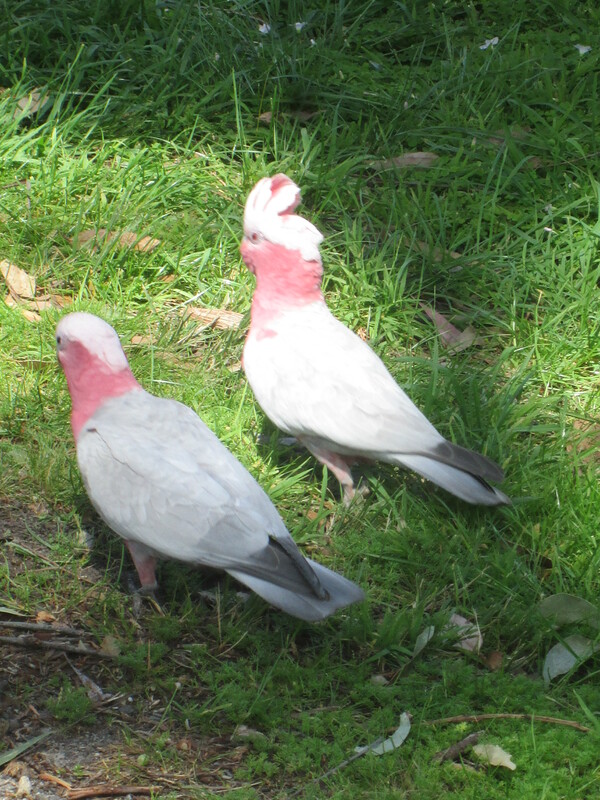 I tried to catch a couple of parakeets and snuck up on a couple of cockatoos. They’re way cooler than pigeons. Once we’d made our way down to the river, we convinced one another that we could definitely walk across it without getting too wet. This was almost successful. Just as we reached the opposite shore a wave came upstream and we both planted our feet in deep holes and were faced with a desperate scramble to get our belongings out of our pockets before they were drowned. 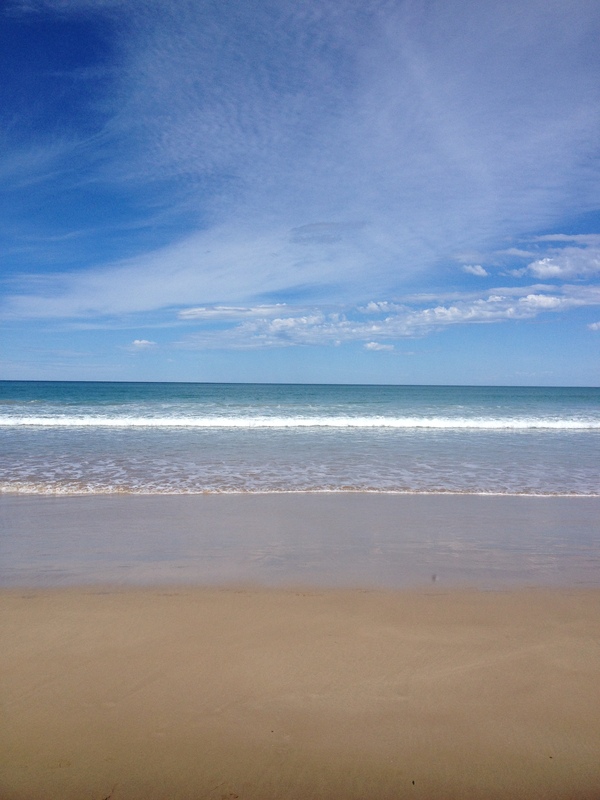 Once across we decided on how best to return to Lorne. There was the first and least acceptable option of turning back, the second of walking along the road and the third and riskiest; rock hopping along the front. We edged our way along the coast line, nervous about not knowing exactly what the tide was going to and about whether or not a big wave would just come and wash us out to sea. 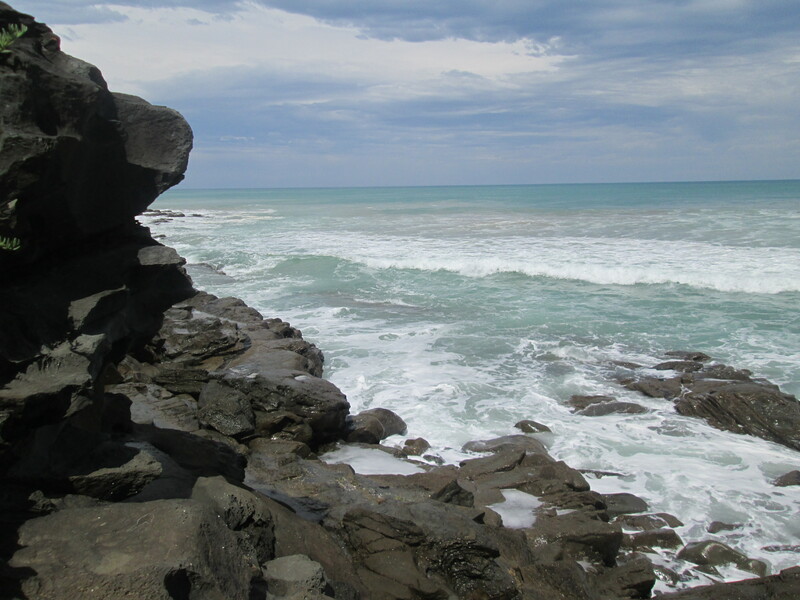 There were a couple of high adrenalin moments as we clung to the cliffs and covered with ocean spray. 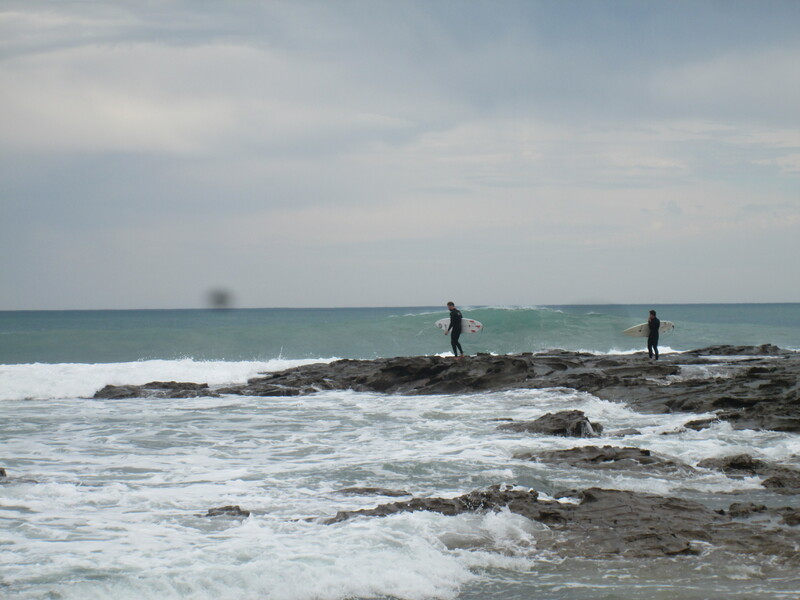 Eventually we realized we must be safe, there were a group of surfers looking for a spot to put in and take advantage of the waves we were struggling to avoid. 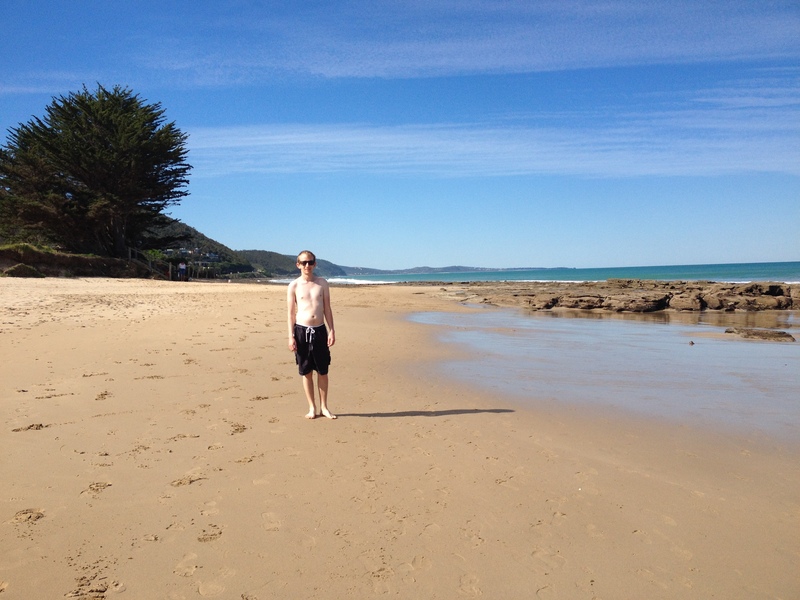 We took a walk back along the beach into Lorne before stopping for a drink and a quick bite to eat before I had to jump on the bus and head home. 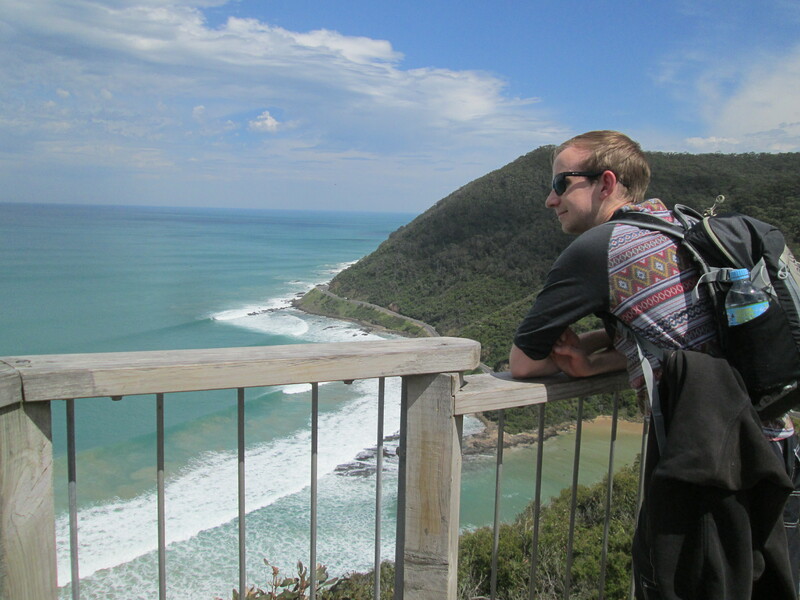 It was a good to get away from the city as it reminded me that I’m actually travelling, I’ve found that it might be pretty easy to do the Great Ocean Road in full without driving or booking a tour. It was also fun to catch up with another friend from home and it was great to hear about Charlie’s experiences here so far!